“I came to my marriage with a dowry and cows and you’ve come to yours with nothing.” This is what my Irish grandmother said to my mother when she first got engaged to my father in London in 1960. 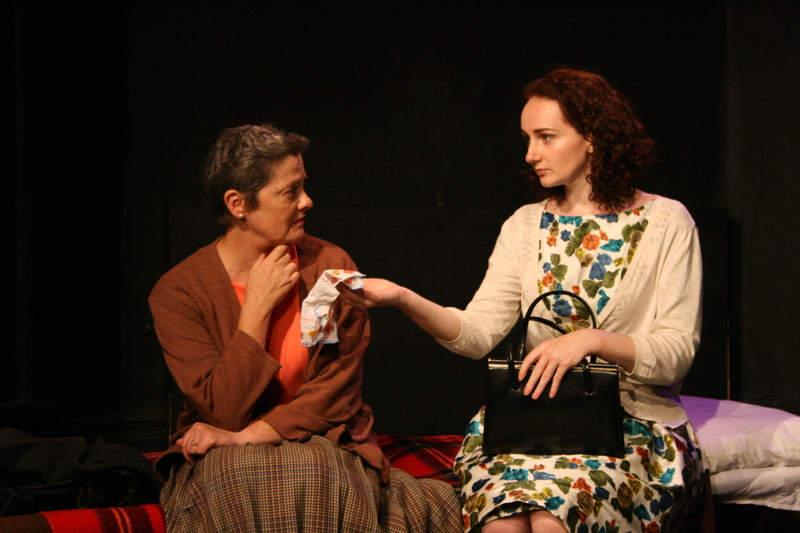 My mother never forgot this barb, and it helped to inspire the play Body and Blood. My mother was also Irish but her marriage wasn’t an arranged one. My grandmother’s was and many more were in Ireland at that time. They continued to be well into the 1970s. 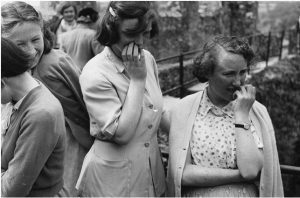 Once matched into a loveless marriage, the girls often found themselves living on remote farms faced with animals to be fed, bread to be baked, bacon to be boiled, cattle to be milked, and turf to be carried. All amidst the driving rain and – if you’re living on the side of the mountain like Aileen in Body and Blood – the relentless rolling mist. 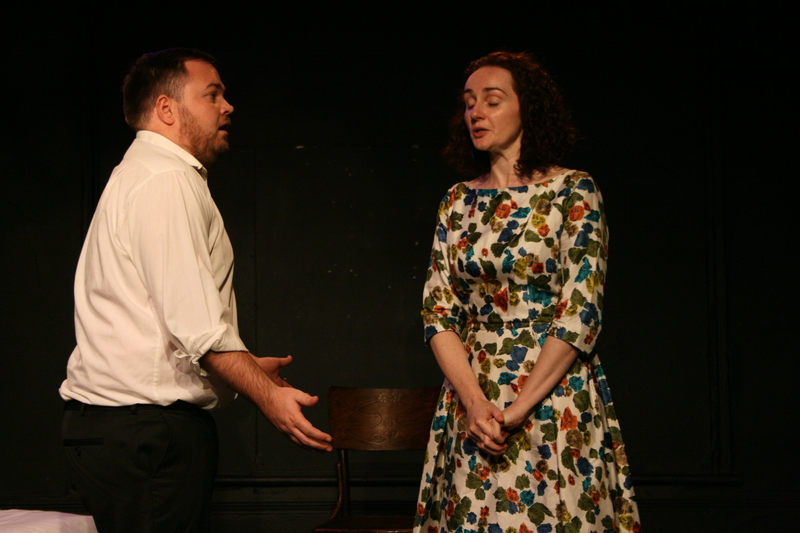 This cultural background formed the early lives of the characters in Body and Blood but the story begins when they come to London as part of a major wave of Irish immigration in 1956. 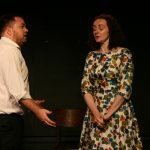 Will the characters make the sacrifices required to stay true to their cultural roots or – infused with their new-found freedom in London – break free to control their individual destinies? Which of them will have their own Easter Risings? 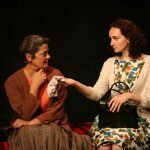 Click here to listed to actress Sorcha Brooks, who plays Pegeen in the play talking about rural Ireland. 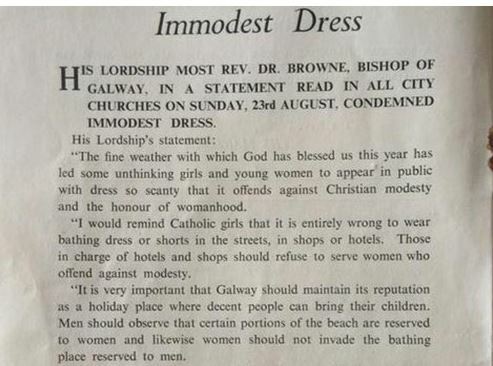 Letter from the Bishop of Galway warning of immodest dress 1959.